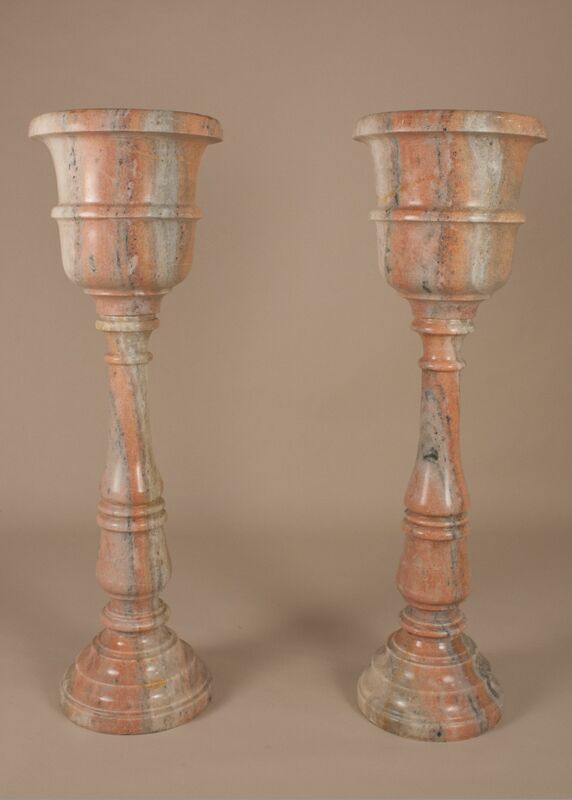 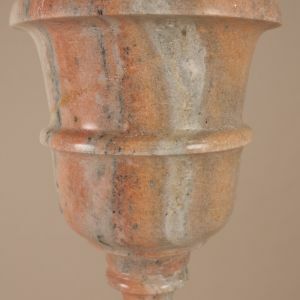 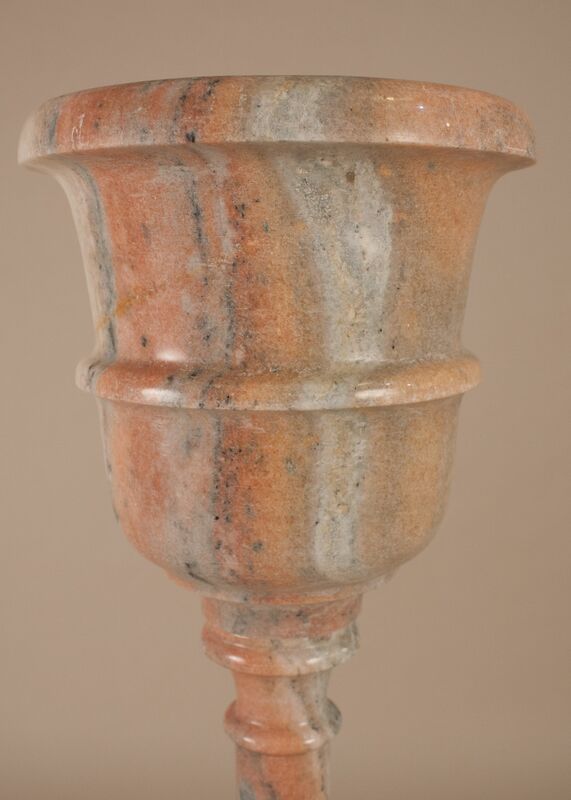 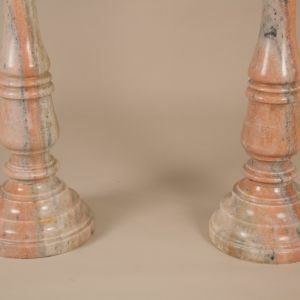 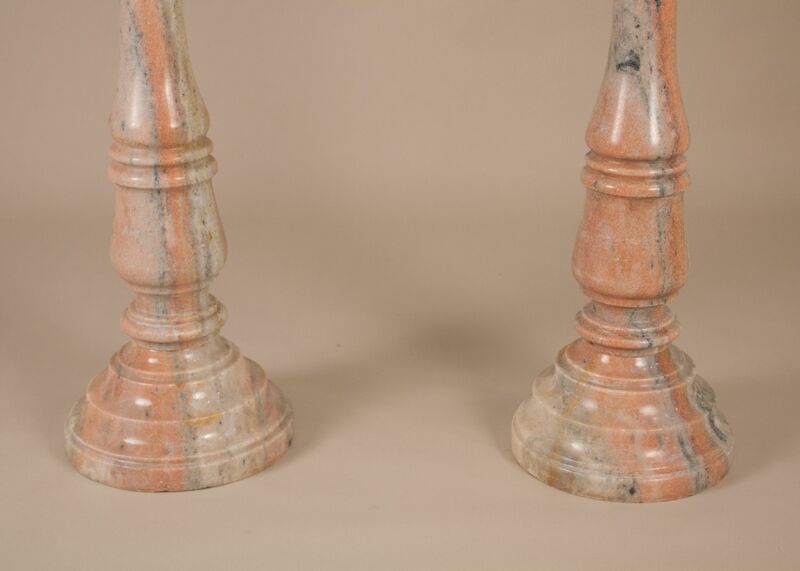 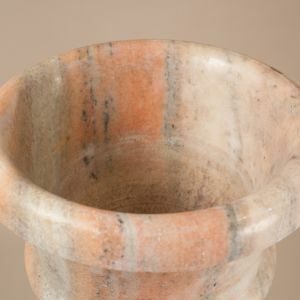 Pair of Udaipur pink marble standing jardinieres, each comprised of three fitted pieces (base, pedestal and planter). These mid-century planters have both a beautiful grain and palette of salmon, gray and cream tones. 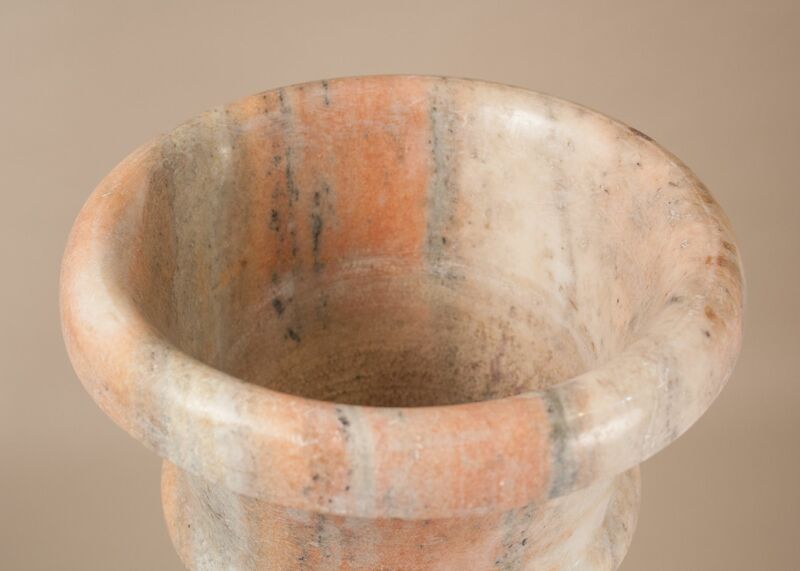 Dimensions: 38.75" height x 12 diameter" (at top); depth of pot is 9"